My Aunt D. used to make this delicious salad for all of our family BBQ’s and I must be craving summer because the other day this is the only thing that sounded tasty. This recipe takes only a few minutes to make, and is bursting with flavors and textures. Try it, you will like it! 1 lb. fresh broccoli florets, cut into small, bite-size pieces. Cook the bacon and pat dry, crumble. 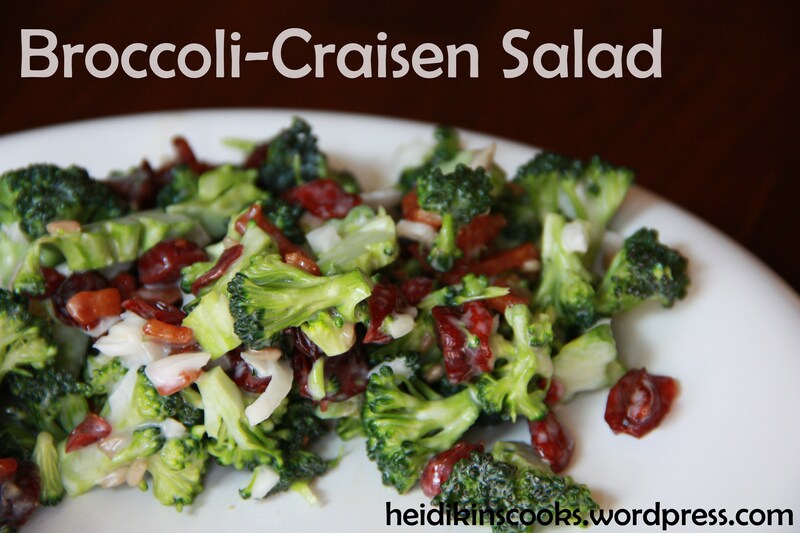 Combine with broccoli, craisens & red onion. Toss in sauce, sprinkle with sunflower seeds, and serve.